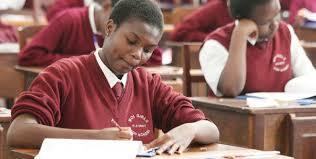 The rising number of students scoring an "A" in Kenya is now being termed as a problem by academicians in the country. According to the scholars, they feel that the huge number of students scoring high marks is maybe due to poor examination setting or poor education system. The argued that the number has risen all of a sudden which shouldn't be the case. “There are too many As nowadays and one may be forced to ask whether Kenyan children have all of a sudden become so intelligent,” said Prof Laban Ayiro, Director of Quality Assurance at Moi University. During the 2013 KCSE exams, 2,690 students got a straight A while 8,837 followed with an A minus. One principle from the coastal region there are some schools where more than 100 students get straight A, which can sometimes make people wonder just how clever kids have suddenly become. They are now calling on the government to start putting measures to stop the problem before it gets out of control.